Introducing this lovely unit which stands at over five feet tall and features four wide storage and display shelves. Its eye-catching inverted aesthetic is achieved thanks to the opposing alignment of the side supports on the shelves. 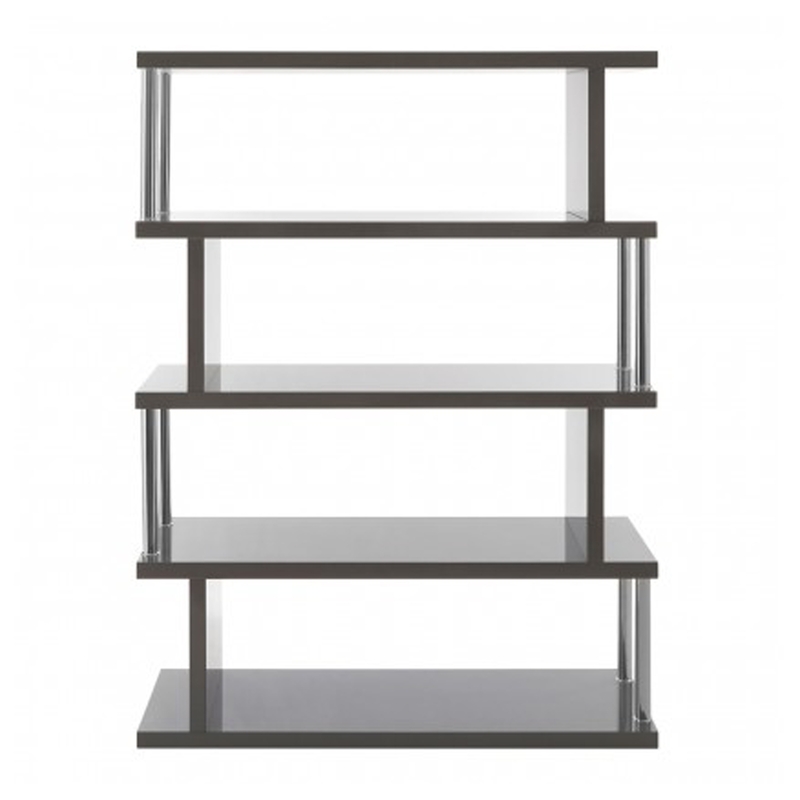 The unit has a glossy grey finish which complements the two sleek stainless steel poles positioned on each shelf.